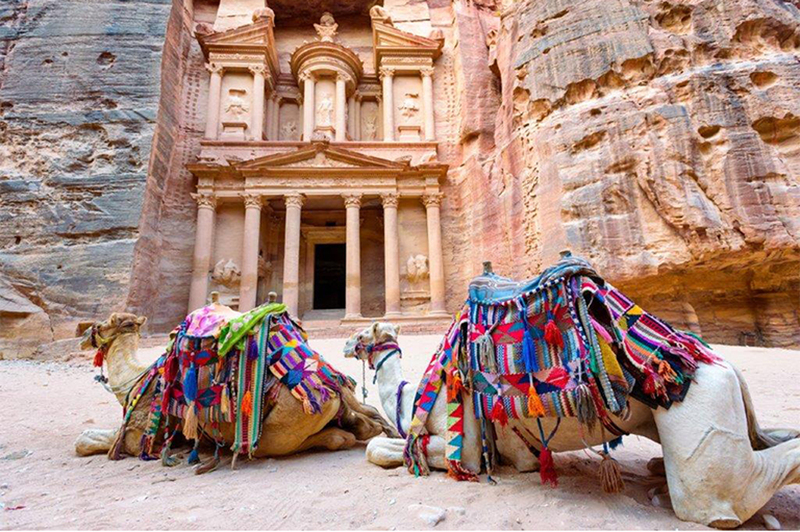 Live the unique experience of the country of Nabataeans and enjoy an unforgettable organized trip to Jordan with Mideast Travel Worldwide. Entrance to archaeological sites, museums, etc. Rates are per person in euro and for a minimum of 8-10 people. In case of less participation, our office reserves the right to increase the cost of the tour. Gathering at the airport and flight to Amman. Arrival, meeting with our representative, transfer, check-into the hotel, dinner and overnight. Breakfast and departure for our excursion to Jerash, the Pompeii of the East, a unique sample of the roman civilization. The streets with the columns, theaters, churches, temples, forum, Hadrian’s Triumph Arch will excite you. Return to Amman, dinner and overnight. Breakfast and departure for Petra. 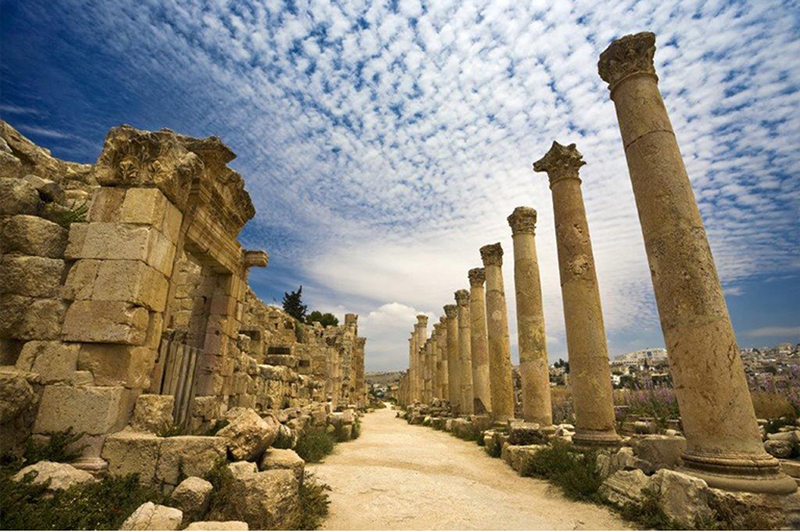 On ouw way, we will stop to Madaba, the city with the best preserved Umayyad mosaics. 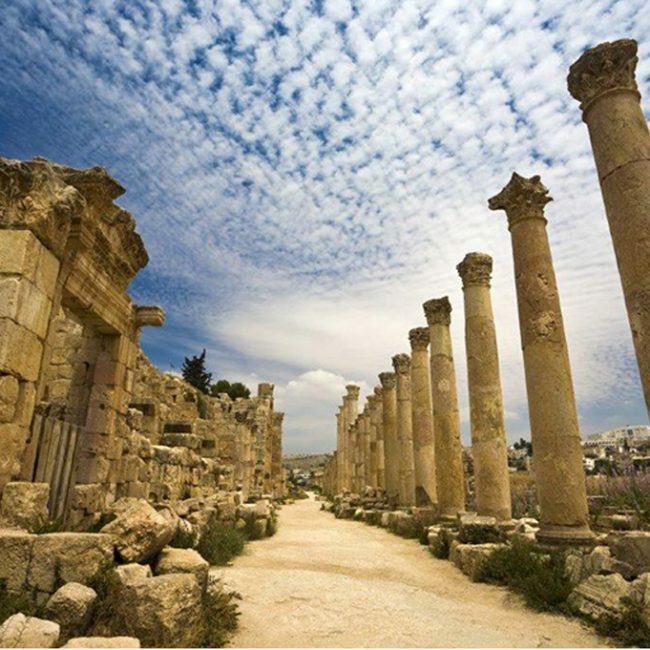 The most famous of them is the map of Jerusalem of the 6th century A.D. Then we will ascend to the historical mountain of Nebo and admire an excellent view of the valley of the Jordan river, the Dead Sea and Jerusalem. 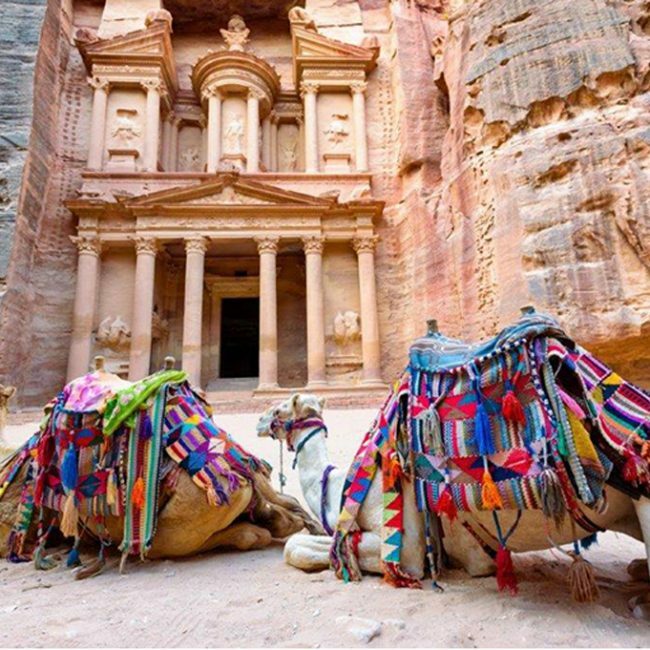 Late in the afternoon we will reach Petra, check-into the hotel, dinner and overnight. After breakfast we will depart for the tour of Petra, the unique Rose City of Nabataeans, carved in stone, in the gorge, hidden away from the enemies. 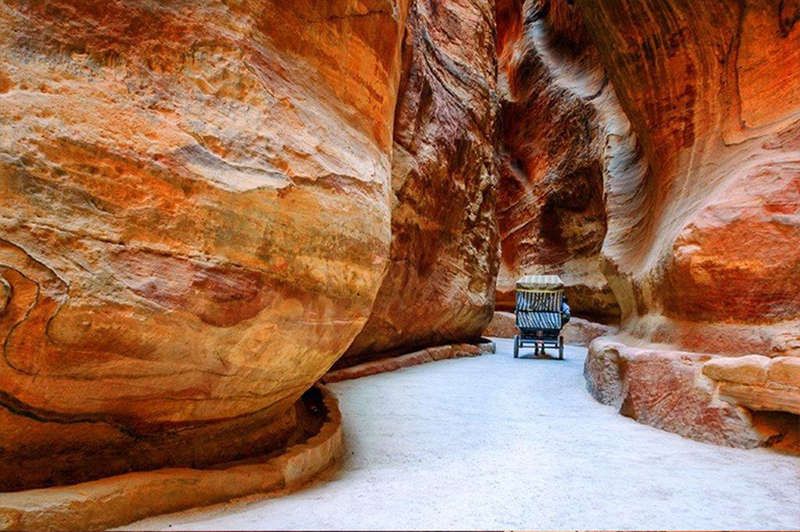 We will arrive by horse or coach (optional), crossing the narrow gorge of Siq, to get to know the archaeological site. The royal tombs, the Urn tomb, the Silk tomb, the Corinthian tomb, the Obelisk tomb, the theater and Bab Al-Siq Triclinum, the street of Facades, El Deir, Al Khazneh, the prisons, temples, houses, baths, tanks, markets, arches, public buildings etc. will surely capture your attention, while the color of the rocks will enchant you. Return to the hotel, dinner, overnight. After breakfast we will depart for Wadi Rum. During the journey we will pass from Al Karak castle that dominates the area since the era of the Crusaders. 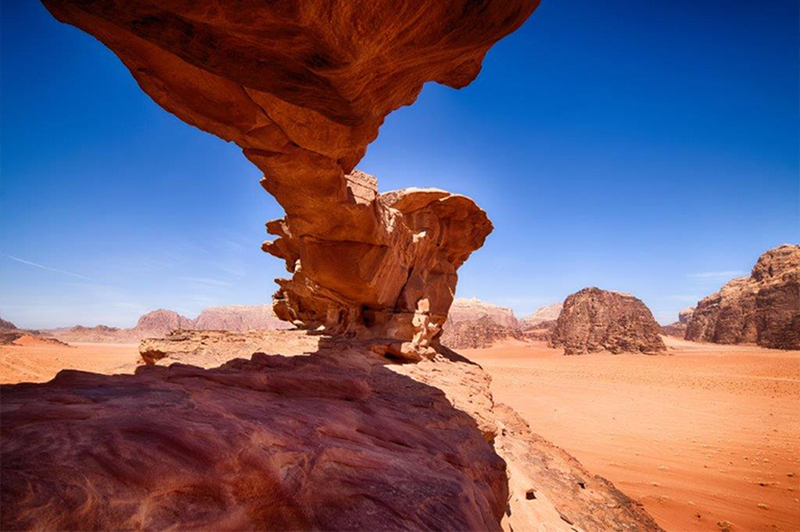 We reach Wadi Rum, one of the most impressive deserts in the world that invites you to explore it with a 4x4 Jeep. Ending our unforgettable tour we continue to the Dead Sea, the lowest spot under sea level on earth. Arrival, check-in, dinner and overnight. After breakfast we will be transferred to the airport for our return flight to Athens.